Despite the fact that the Oral Cancer Foundation has stated that the death rate for oral cancer is higher than the death rate for more commonly feared cancers including cervical cancer and skin cancer, many Auburn, AL residents aren't visiting their dentists for oral cancer screenings as often as they should. If you are one of the many people who haven't made it in to see Auburn, AL dentist Jim Phillips, Jr., DMD in a while, today is the day to change that. As if the thought of having cancer wasn't scary enough, one aspect of oral cancer that makes it especially frightening is the fact that symptoms often do not appear until the cancer has spread. Just because you haven't noticed any symptoms doesn't mean that you aren't at risk or that you don't already have the disease. 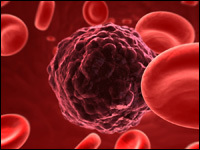 The cancer could be spreading inside you without you even knowing it. This is why routine oral cancer screening is so important. While symptoms will vary by individual, the following symptoms are often associated with oral cancer: difficulty chewing or swallowing, difficulty moving the tongue, dry or irritated patches in the throat, numbness, swelling and pain. Unfortunately, these signs often do not appear until after the cancer has spread, so if you notice any of them, you will want to visit Auburn, AL dentist Dr. Phillips for an oral cancer screening right away. While opinions vary, on average, dental health professionals recommend that Auburn, AL residents visit their dentist for an oral cancer screening every year. The American Dental Association even goes so far as to recommend that patients receive an oral cancer screening at every routine office visit. Oral cancer is serious business, and the sooner it is caught, the better. Of course, the amount of time in between each individual patient's screenings will vary based on their risk factors, with those individuals with many risk factors being screened more frequently. Risk factors for oral cancer include: alcohol use, tobacco use, sun exposure, HPV exposure, gender, diet and age. Oral cancer may not be as widely feared as many of the other types of cancer, but it's still just as dangerous. Protect your oral health by visiting Dr. Phillips and having an oral cancer screening done today. Your health might just depend on it. There are things you can do at home to keep your teeth fresh, healthy and white. Here are three ways to keep your smile glowing and healthy between appointments with Dr. Jim Phillips, Jr., DMD, dentist Auburn, AL. Dairy products, like milk, yogurt and cheese are good for your dental health. Dairy contains calcium which is crucial for maintaining strong bones and teeth. Also, a 2013 study by the Academy of General Dentistry (AGD) found that cheese in particular helps prevent cavities and raises the pH level in your mouth after just 10-30 minutes. A pH level above 5.5 is good for protecting your teeth from acid erosion. There’s a reason for the saying "an apple a day keeps the doctor/dentist away." Apples, pears and similar crunchy fruits are great at cleaning the teeth and stimulating saliva that protects your teeth from acid erosion and staining. So between your appointments with Dr. Phillips, Jr., dentist Auburn, AL, make it a point to eat at least one apple each day as a snack—especially if it’s after a large meal. You can keep your teeth bright by brushing with an ADA (American Dental Association) approved toothpaste that has whitening properties. 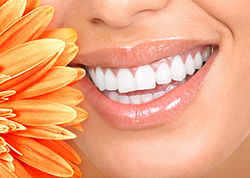 These products have ingredients targeted at brightening your smile with daily use. Some toothpastes can help protect your teeth throughout the day so that the foods you eat won’t stain the enamel. For the most reliable whitening results, visit the office of Dr. Jim Phillips, Jr., DMD, dentist Auburn, AL. Reach his office at (334) 821-5291 or visit http://www.drphillipsdental.com to learn more about his whitening services." Whether you are an existing patient or searching for a dentist in the Auburn AL area, we're excited you are here. With the dental industry advancing, we recognize the importance of keeping our patients and visitors up to date with all of the new and exciting things taking place in our practice. As we move forward with our blog, we hope to promote dental awareness as a vital part of your healthy lifestyle. Here you will find a variety of articles and topics including dental news, advancements in dental technology and treatment, practical dental health advice and updates from Dr. Phillips and his staff.